When it comes to the change of season, there is always plenty that you need to think about in order to make sure you continue to look your very best. Of course, no matter what your own style is, you will find that there are certain things that tend to work very well in summer, others which work not quite so well, and some which are somewhere in between. As long as you are aware of what kind of clothes you probably need for summer, you will be likely to find the shopping spree easy enough. To give you a hand with that, let’s take a look at some of the basic wardrobe essentials for summer which you don’t want to overlook. Something you can’t easily go without is the summer hat, and this is one of those things that can be surprisingly hard to pick properly. If you find it hard to know what kind of hat suits you for summer, you might feel that this is a particular challenge. However, if you don’t manage to find one then it is much less likely that you will feel the part during the warmer months. For that reason, it’s a good idea to go out as early as you can to try and find a summer hat, as the added time trying them on will make it more likely you find one that suits. If you are lucky, you might even be surprised to discover that there is a type of ht you have never tried which actually really suits you. In any case, you’ll feel much more prepared once you have at least one good summer hat. 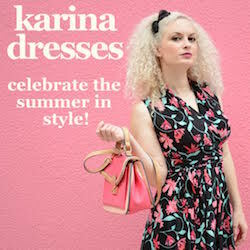 Of course, summer is the season for getting out all of your favorite dresses, and out is also a great time to go shopping for some new ones. Who doesn’t love having an excuse to go out and try on some new cute summer dresses? But if you are like most, you might find that this is something which can be surprisingly difficult to get right too. Most people’s tastes change considerably in a year, and when that happens it can mean that finding the right dress is genuinely very difficult. Nonetheless, it’s a good idea to go out and try to find one for summer, as it is likely to be one of the major things that you wear during those warmer months. Getting the shoes right takes time, and it is something you will probably spend the most time on when trying to fill out your summer wardrobe. It can be deceptive when it comes to summer shoes, because it seems as though it must be easy – and then every year, the exact opposite appears to be the case instead. If you are struggling to find decent summer shoes, you are not alone, but bear in mind that you have many more options than you might sometimes feel you have. Be persistent, and you should end up with some summer footwear you can be really happy with.